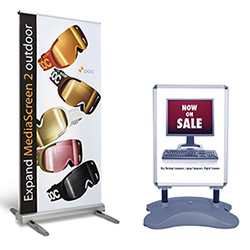 Eye-catching sign stands that work great in any trade show, conference, corporate lobby or event situation. 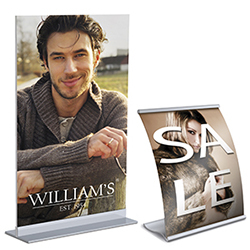 Many different sign stands and options to choose from! Our backlit SEG fabric light boxes set the industry standard, and are offered in models to suit every purpose. 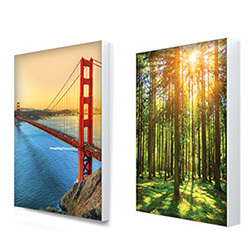 Perfect for any display application where a high visual backlit impact is needed. 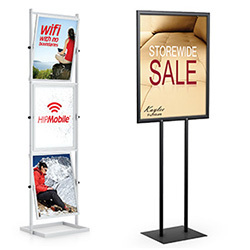 Countertop merchandising sign stands for retail, lobby or trade show events. Various accessories available for all your marketing needs. Wide variety of tabletop and countertop stands and holders. 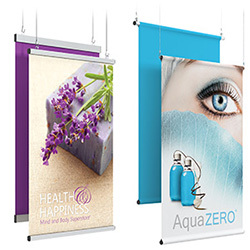 Perfect for retail or interior applications, our hanging sign systems and hardware incorporate a wide variety of finishes and options to display posters, banners or signage. 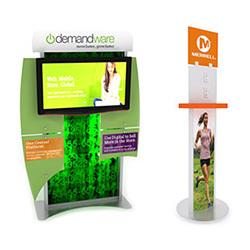 By combining our aluminum extrusion system with fabric or laminated graphics, we can create a unique custom kiosk or monitor trade show display that will get you noticed at your next event. 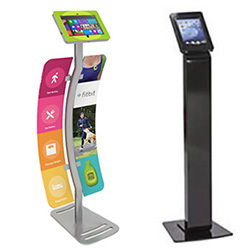 Transform your marketing message into an engaging, interactive presentation with our innovative iPad, Surface or tablet kiosks, display stands, and custom workstations. Charging Stations attract attention and are a popular convenience for potential and existing clients. Most are modular, but there are a few custom stands that ship fully assembled with accessories. Overhead hanging fabric structures are designed to be beautiful, adaptable, and recognizable, whether it's for a trade show or special event. Choose from many shapes or design a custom one just for you. Create an impressive backwall to fit your needs for any special event or trade show. Perfect for red carpet entry and photo opportunities. Create a backdrop as wide as you need. 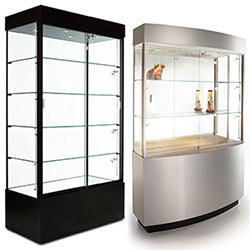 Beautifully crafted showcases are perfect for any interior display environment. 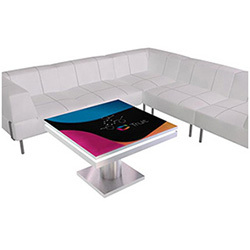 Great for showrooms, retail spaces, offices or lobby areas. Standard showcase designs or custom designs. 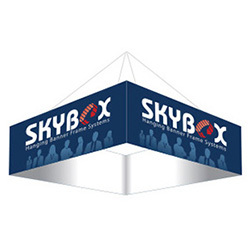 We offer a wide range of outdoor event products including banner stands, sign stands and more. Many of these products can be used both indoor and outdoor. 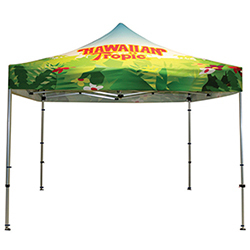 Tents and kiosks for outdoor events available in 8', 10' and 15' configurations. Solid color, single-color and full color imprinting options available. Easy to set-up and take down.